In a heavily polluted country like India, e-rickshaws are a welcome green patch of effective transportation. Entrepreneurs are applying to get dealerships of them and they have very good reasons to do so. E-rickshaws are slowly becoming the future of transportation in the suburbs of the sub-continent. The fact that they are conventionally green in its usage of power is making it a prime vehicle of choice in a densely populated and polluted country of India and the sub-continent as a whole. Entrepreneurs are investing to buy e rickshaw as they are finding them to be a vital and good upcoming business opportunity. The point of legality is still a concern for the e-rickshaws and the Delhi high court banned any e-rickshaws plying in the nation’s capital showing reasons of traffic jams. But due to its unique position in India’s ecosystem of transport they are very readily plying unencumbered in the various other parts of India. Cost-efficient- an e rickshaw runs on an electrical motor and the rickshaw pullers of our country are shifting to it because they can do multiple trips with this without getting any physical exhaustion. Though you need to charge the e-rickshaws, but if we do a cost benefit analysis of these rickshaws they come out more in the green than a traditional rickshaws. Availability of spare parts- a mini concern that many have regarding these e- rickshaws is the availability of spare parts. Ask any rickshaw puller and he will say that these things regularly break down. With the increased availability of E-Rickshaw spare parts online, it now has become very easy to maintain these electrical machines. Local mechanics are also storing spare parts for these rickshaws in their garages owing to its increasing popularity. Eco-friendly- India is considered to be one of the most polluted countries in the world. Our cities are always filled with smoke emitted from the thousands and millions of vehicles plying on its roads. These e-rickshaws are devoid of any emission. They run on electricit and thus they are conventionally eco-friendlier than other forms of transports available in the cities and suburbs. 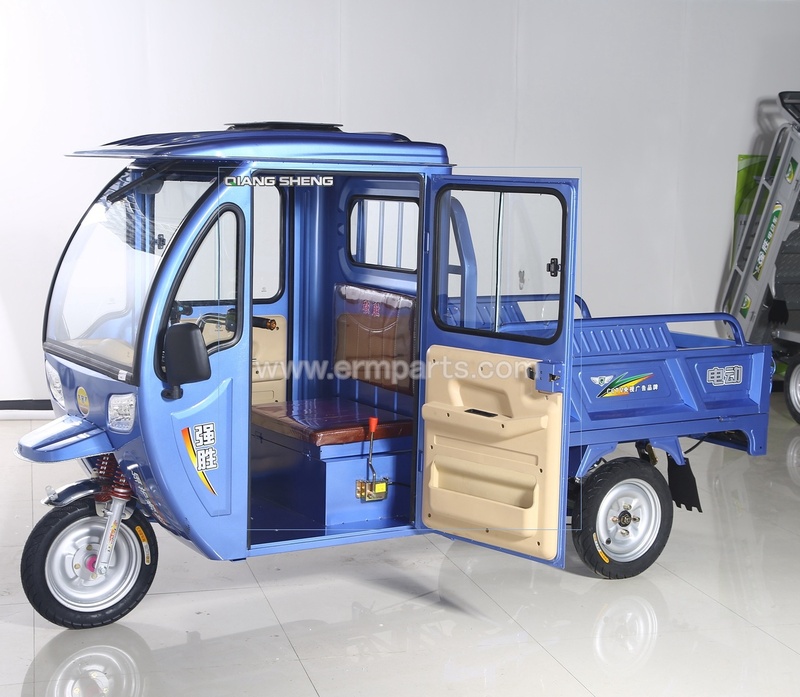 Qiangsheng Group CO.,LTD is a company based out of China, manufacturing state of the art e-rickshaws. If you are wishing to start and run a profitable business venture, apply today for a dealership with them.